The Carnival of Santa Cruz de Tenerife of 2019 has just started, with the inaugural gala last Friday, although there is still work going on contracting artists. It's a carnival full of rhythm, color, surprises and novelties, like the revitalization of the last day of the festivities, Piñata Sunday, when the theme of the Carnival 2020 is to be announced, says councilor of Fiestas of the City of Santa Cruz, Gladis de León, in an interveiw with DIARIO DE AVISOS. The councilor says that every year they've talked about the Sunday being a sad day and one of the proposals that came out in almost all meetings this year, was to do something to make that Sunday into a party. The idea is that all the groups that have participated in the Carnival, and all who want to join in, will leave from different points of the city to meet in the Plaza de la Candelaria and have a party there, between 10.00-2.30 pm, with fireworks and a dance until 11.00 pm. And to announce the theme of the Carnival for 2020 then. It has been suggested that, during this year's Carnival, people will be able to vote for one of several suggested themes and on Piñata Sunday, March 10, the theme for next year will be announced. Then work can begin on planning for next year's carnival. 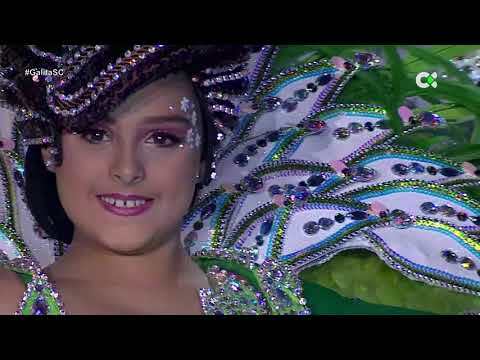 Gladis de León also mentioned in the interview that this year's Cabalgata (Opening Parade) and Coso (Main Parade) will be a little longer than usual, given that there are 19 adult, 9 senior and 17 junior carnival queen candidates.